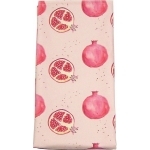 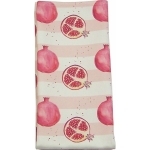 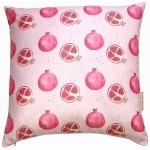 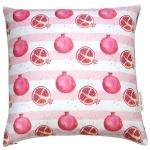 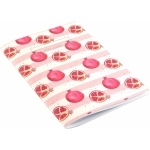 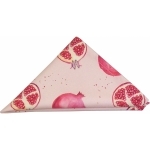 Pomegranate napkin - Luxury Cotton Napkin Featuring Hand Painted Pomegranate Design, , Part of The Exotic Fruits Collection, - Pomegranate print Luxury Napkin -, Pink -, 38cm x 38cm -, 100 percent, Cotton -, Hand Painted Design -, Made in Great Britain from The After School Club Design. 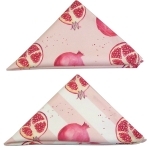 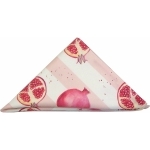 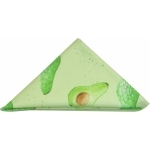 Luxury Cotton Napkin Featuring Hand Painted Pomegranate Design. 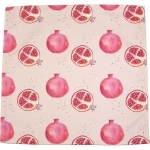 To keep the prints looking their best, machine wash your napkins cold, ideally in a drawstring bag or a pillow case. 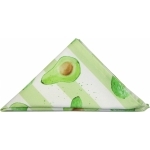 Each napkin is handmade therefore dimensions may vary very slightly.